Family of Staff Sergeant Ronen Lubarsky boycotts murder trial for terrorist after understanding that terrorist won't get the death penalty. The trial of the terrorist who murdered Duvdevan Staff Sergeant Ronen Lubarsky in May continued Monday at the IDF Military Court in Ofer Prison. Islam Naji is being tried for intentionally causing death, the IDF military court's parallel offense of murder in Judea and Samaria. 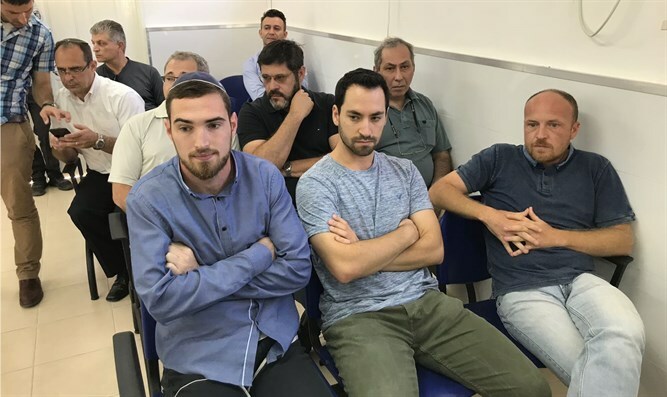 Prior to the hearing, Ronen Lubarsky's brother Arik announced that the family is demanding that the panel of judges be replaced in order to enable Naj to receive the death penalty. The Lubarsky family demonstratively boycotted the hearing after it became clear that the judges would not be replaced. Ronan Lubarsky, a combat soldier in the elite Duvdevan counter-terror unit, was killed in May after a marble block was dropped on him from a three-story building in Ramallah. Lubarsky’s helmet was smashed, and he suffered critical injuries, succumbing to his injuries after being evacuated to Hadassah Ein Kerem Medical Center in Jerusalem. Lubarsky was the first combat soldier from Duvdevan to ever be killed by the enemy. Naji has a history of involvement in terrorism and family ties to various terrorist groups. He was jailed in Israel for his work with Hamas from 2004 to 2009. Naji’s family also has strong ties to terrorism. Five of Naji’s brothers were involved in deadly terror attacks on Israelis, including a string of attacks during the Second Intifada.